A panel of local utilities highlight their significant, proposed capital improvement plans for the upcoming year. This is a 4-Person Scramble event. Proceeds will benefit FWEA’s Norm Casey Scholarship, FSAWWA’s Roy W. Likins Scholarship & the SW Chapter’s Florida Gulf Coast University Scholarship. This seminar has been approved for 5 PDH credits and .5 CEUs for WW licenses. Clean-up Lake Killarney hosted by the city of Winter Park. 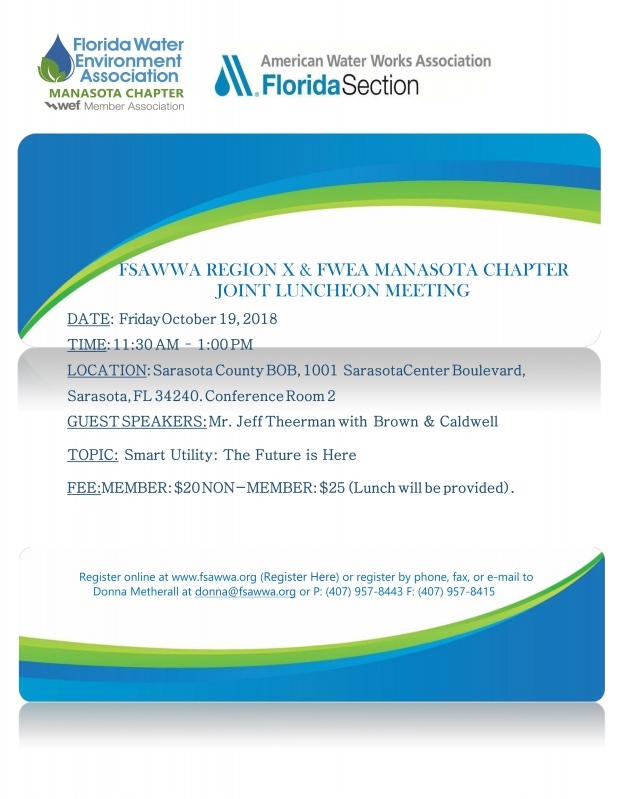 Please join us at Martin County Utilities Tropical Farms Water & Wastewater Treatment Facility for a lunch and learn on October 23, 2018 from 11 am to 2 pm. 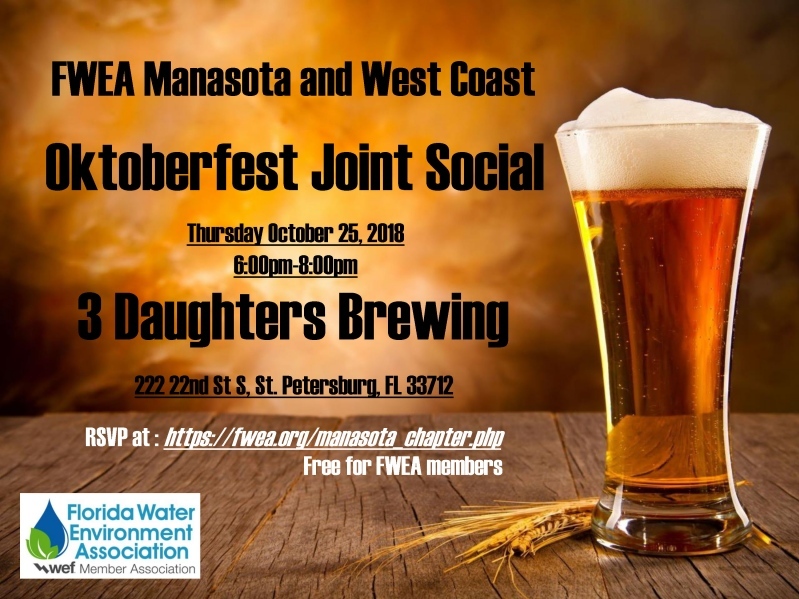 This is great opportunity to network with other local utilities, discuss the current issues affecting the Treasure Coast, and have the opportunity to tour the water treatment facility and the biosolids treatment process. Registration is free, and lunch is provided. Please contact Christine Miranda at Christine.Miranda@holtzconsulting.com or at (561) 575-2005 with any questions. This is the regular meeting of the FWEA Board of Directors. 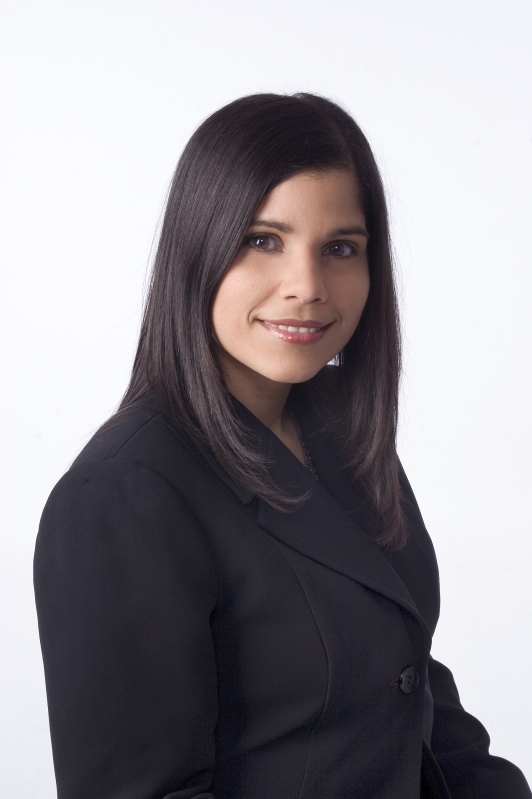 Please join us for our Quarterly Meeting, which will feature a presentation by Ms. Lynnette M. Ramírez, P.E., Senior Advisor Capital Projects and Compliance for the Miami-Dade Water and Sewer Department (MDWASD), on MDWASD's Consent Decree Program.